Indian Head Massage is an ancient technique with its roots firmly grounded in the principles of Ayurveda - the traditional healthcare system of India. It is a powerfully relaxing and restorative treatment that can be given either seated or lying on the treatment couch. 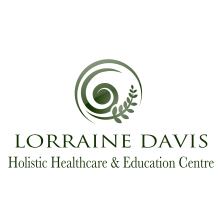 We offer a strong multi-level training pathway, delivered in a small group format by Lorraine Davis, a tutor with the highest level of knowledge and experience. This is coupled with the very best in flexible student centred learning, allowing you to grow and develop at your own pace. The Certificate in Indian Head Massage is designed to offer a standard professional qualification in the western seated technique only and is accredited with IPHM. The Diploma in Traditional Indian Head Massage delivers an excellent stand alone, industry standard qualification accredited with FHT. It offers a wonderful opportunity to gain a highly respected qualification that brings together both standard western procedure together with the traditional roots of Indian Head Massage - a chance to learn the ancient way of marma massage therapy, to develop a beautiful ritual technique and extend your knowledge of traditional Indian oil. It offers a strong foundation for best practice for those who wish to move to the highest level. Once qualified you will be competent and confident to work with a complete range of essence systems utilising a wide range of client assessment techniques. This is a wonderful way to study and particularly suitable for those who need to study for upgrade/updating where study hours are not set. We also hold a selection of seminars and workshops each year designed to provide further depth and breadth of the subject area. You may also find some of our other workshops in spiritual and holistic philosophy offer additional knowledge and skills, thus giving a strong opportunity for continuing professional development within the sphere of energy medicine. This course offers the opportunity to study Indian head massage at a deeper and broader level. It includes the techniques of both seated and couch treatment, the principles of Ayurvedic philosophy, and the practice of marma therapy [Indian energy work], bringing together both the clinical and holistic effects of the treatment, ensuring your expertise and confidence in the traditional techniques of Indian head massage. Course content complies with the industry core curriculum as laid down by GCMT and includes the required 24 class study hours. It offers a top level professional practitioner qualification accredited by FHT for membership and insurance. If you are interested in attending, please contact us before booking, so that we can have an informal chat. It is important to us that you have selected the appropriate course and that we can meet your needs effectively. You may undertake this course if you are a beginner, or hold existing therapy qualifications. If you have an existing qualification in Indian head massage, you may attend specific modules only, in order to add to your skills. These existing skills can be taken into account through the process of APL [accreditation of prior learning] and will involve reduction in study time and fees from the full study course. A full student kit will be required for use during the course. We have sourced a kit that is of excellent value and suitable quality. Please ask for details. You may purchase your own kit if you wish - please discuss with us first to ensure that you are obtaining the appropriate oils and reading material. The aim of this course is to provide a wide ranging, professional qualification that enables the student to raise the level of their practice to offer safe and effective Indian head massage treatment to a full range of clients using a full range of traditional Indian oils, and techniques. You can study with us if you a beginner. ​This course is designed to offer a standard qualification to enable you to offer Indian head massage safely and effectively and is accredited by IPHM for membership and insurance. This is a shorter course than the diploma involving 22 class study hours held over 2.5 days : 2 days teaching and a 1/2 day assessment date arranged by group discussion. It is a particularly suitable for those looking to gain a recognised standard qualification in western techniques in a shorter study time. Practical work covers the seated technique only. The aim of this course is to provide a good solid industry standard qualification that enables the student to provide a safe and effective treatment using seated technique including a range of standard carrier oils.